The rockers have become official sponsors of the football team, in the town of their new hotel and recording studios. The Libertines have become the official sponsors for Margate FC. The band's logo will appear on the side's home and away t-shirts during the 2018-19 season, which kicks off on Saturday 11 August. General Manager Deny Wilson said of the partnership: “With little under 24 hours until the new season starts, we are thrilled to share the news that The Libertines will be our shirt sponsors this season. The Time For Heroes outfit have made the seaside town their second home after setting up a hotel and recording studios. They're also set to curate Wheels and Fins Festival, which takes place in the nearby area of Joss Bay. It's not the first time the likely lads have been tied to the world of football. 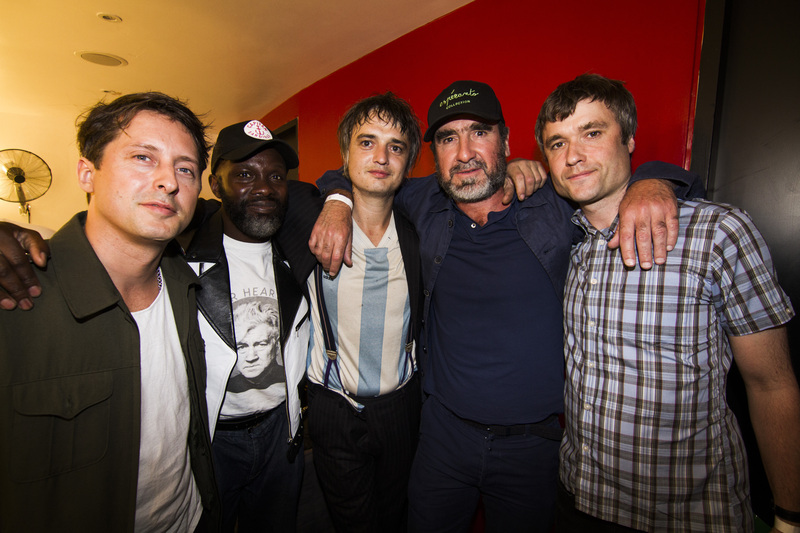 Last month they shared a bill with Manchester United legend Eric Cantona, with the former footballer providing a supporting slot at a benefit for Palestinian children in June. The Hoping Foundation benefit gig was held to raise funds and awareness for Palestinian children living in refugee camps in Lebanon, Syria, Jordan, the West Bank and Gaza. The French football star took to the stage read the poem Enemy Of The Sun in English, and another in his native tongue. See a clip of him below, in a Tweet shared by Greenwich1905, which was captioned: "Just seen Eric Cantona support The Libertines. Can tell tonight is gonna end up bent up".